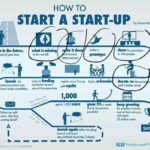 Recently, we came across a number of interesting infographics showing how startups were formed and how they developed into full-fledged companies. In today's world where the start-up culture is rife and continues to grow, how do we prepare our children adequately to thrive in this competitive environment and perhaps own startups and companies in future? We have to start them out young. 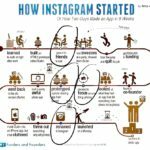 Looking at Instagram as a case study, the founder had to create a model, give it to friends to test it out, made several modifications before actually launching it and making it a successful app. There are similar trends if we look at the second infographic closely. The process starts with identifying a problem in the current world that we live in and then brainstorming solutions, followed by creating a prototype. However, it doesn't end there. The prototype has to be tested and iterations (improvements) have to be made. To launch a successful product or service, it is always important to get feedback from the potential users and then to make improvements based on that feedback. As we understand the need for children to be masters of these skills, we have designed a specialised, multi-intelligences programme called the Young Inventors Programme™. We have successfully run this programme for three cycles now and we are always amazed by the prototypes that our Young Inventors come up with. At every stage, children will be writing and journaling about their process, leading up to their prototype. This ensures that they are actively thinking about how to problem solve and reflecting on how to improve their design as they get feedback from their peers and teachers. The presentation on Day 3 also trains them to be confident speakers & writers, as they persuade others to use their products as a viable solution. Each intake is limited to 6 participants and some of the slots have already been filled so do register your child here ASAP! This entry was tagged classes, creativity, education, enrichment, holiday programmes, innovation, singapore parents, workshop, writing. Bookmark the permalink.